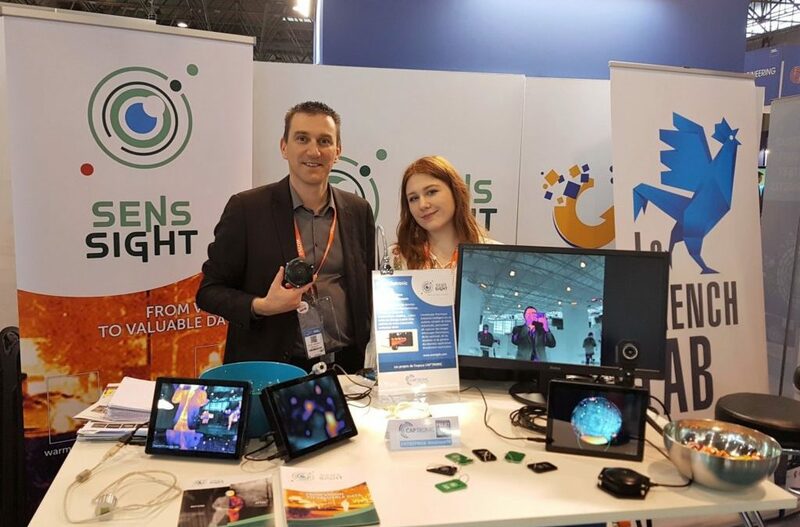 We went from the 27th of March to the 30th at Smart Industries 2018 tradeshow in Paris. It was our second attendance at a trade show, after the CES in January. Smart Industries is a huge tradeshow dedicated to the future of the industry and especially, the 4.0 industry challenges. Supported by Cap’Tronic, we displayed our expertise in thermal vision and explained to our visitors how powerful thermal imaging could be for several use cases. We took the Smart Industries as an opportunity to introduce for the first time one of our demonstrators. Our smart thermal endoscope was made to inspect hard-to-reach and constraining areas. It is base on a MELEXIS sensor (32*24) and is perfect for task automation, cost reduction and personal safety issues a manufacturer can get. As a demonstrator, it was mainly made to display what we can achieve and how we work. We look forward to doing more exhibitions and to be able to display our upcoming innovations. You can watch a glimpse of our demonstration to French politics at 2:17min in the video below. All credits belong to DGE.